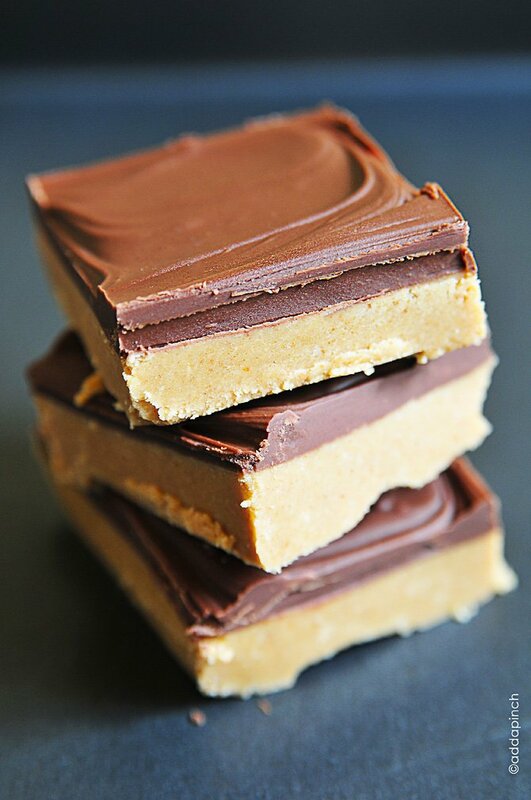 Peanut Butter Bars make quick and delicious treats! 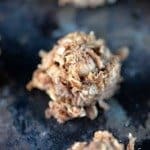 This no bake peanut butter bars recipe is ready in less than 30 minutes and makes 20 to 36 bars. What is it about Peanut Butter Bars that make the world just feel right? Since Sam was just a wee one, we’ve been making these peanut butter bars together. He’d sit on the edge of the counter, swinging his feet as we poured all of the ingredients for the peanut butter base into a large mixing bowl to mix it all together. 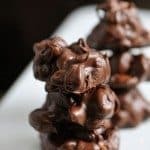 His favorite part of making these peanut butter bars was always dumping the confectioner’s sugar into the bowl, the cloud of white sugar dust bringing out his contagious giggle every single time. We celebrated a memorable visit to the orthodontist a few years ago by making these. You see, we were fully prepared for the orthodontist to reinstall a device at our visit, but Sam must have some major luck. Over breakfast that morning, he told me that he sure did hope he didn’t have to have the device reinstalled until after his upcoming birthday. To which I sympathized for a little bit, but then gave him a motherly version of a dose of reality that it was unlikely that would happen. Sam gave me an eye roll and a sideways grin. As we were walking back out the door to our car after the visit (well, I was walking) Sam was literally floating, skipping, and dancing in one huge combined movement. Walking on air would be a great analogy. He had gotten his wish and his next appointment was scheduled for the day after his birthday. So of course, he wanted to make these when we got home. 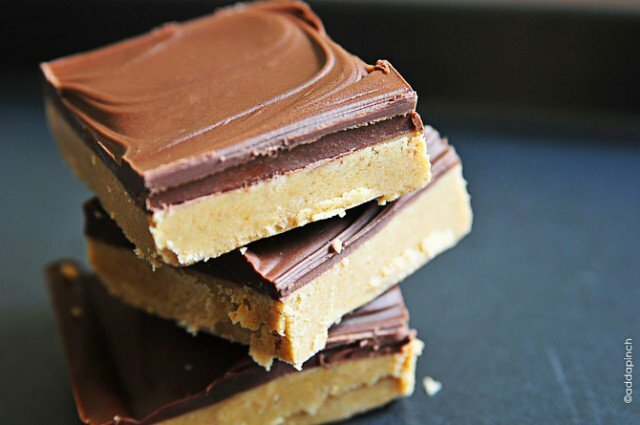 These peanut butter bars are so simple and quick to make, but taste like they were super hard to make. That’s why Sam and I have been making them together for so many years. Five ingredients is all it takes to make these babies. These bars are perfect for game days, potlucks, tailgating, and serving on your dessert table anytime. They are also great for gifting and disappear quicker than you would ever imagine! We also love to make them on camping trips in the RV. I also remember that my Mama would sometimes make them just to tuck into my lunch box. When I’d open the lid to discover one inside, I felt like the luckiest girl alive. There’s just something about that whole peanut butter and chocolate combination that’ll do that for you. You’ll add the first four ingredients in a large mixing bowl and mix until well combined and smooth. Then spread evenly into a 9×13 baking dish. 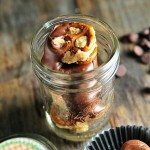 Combine ingredients for the peanut butter bar chocolate topping in a medium glass bowl. Melt in the microwave for 1 minute at a time on 80% power. Remove from the microwave and stir until smooth. Spread the smoothed, melted peanut butter chocolate topping on top of the peanut butter bar base and place in the freezer for 15 minutes. 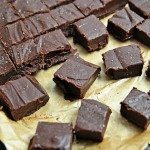 Remove from the freezer and cut into individual bars. The size will depend on the number of bars you’d like to serve. This recipe makes from 20 to 36 bars. 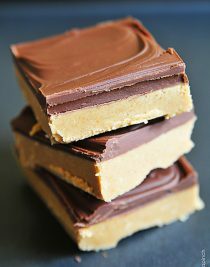 Here’s my recipe for Peanut Butter Bars. I know you are going to love them! Peanut Butter Bars make a quick and delicious treat. This no-bake peanut butter bars recipe is ready in less than 30 minutes and makes between 20 and 36 bars. Combine first four ingredients in a large mixing bowl until well-combined and smooth. Spread evenly into a 9x13 baking dish. Combine ingredients for the peanut butter bar chocolate topping in a medium glass bowl. Melt in the microwave for 1 minute at a time on 80% power. Remove from the microwave and stir until smooth. 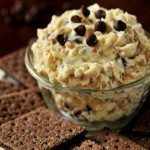 Spread on top of the peanut butter bar base and place in the freezer for 15 minutes. Could these be made with cashew butter? I am allergic to peanuts, but would love to have a substitution. Cashew butter is a lot softer than peanut butter, though, so I don’t know if I can substitute. 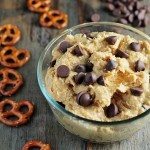 I’ve not made them with cashew butter before, but you can use it. I hope you enjoy them! Thanks!